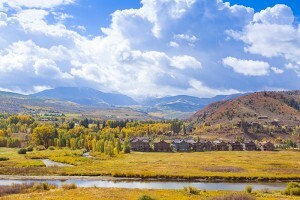 Have you ever wondered what the wealthiest zip codes around the country are doing right? What makes a property more luxurious than another? You can learn much from the wealthiest US zip codes and how the elite want to spend their money. Many times the elite are actually so wealthy because of their investments in the real estate world, which begs to ask the question, what lessons can I learn on their successful investments? Take a look at the top lessons you can learn. There are only 24 hours in a day and you can’t be working for all of those hours. That’s why some of the wealthiest people have learned to bring in a passive income, one that makes them money in their sleep when they aren’t even working on it. Investing in real estate means that you are earning money passively for your initial investment and you don’t have to work on it during the week to keep that income going. The only place people are accustomed to this type of earning is the stock market, but now you can do it with real estate. You aren’t going to get rich overnight. The wealthiest ones know that wealth building takes time and should be done slowly. Allow yourself years to work hard and be dedicated to building your wealth through smart investments and businesses. When it comes to the real estate market, investment in property is a great way to build wealth. When you choose properties to invest in, focus on a great location since you can always change things about the house but not its location. The reason that waterfront makes sense is because it is limited and it’s where the demand is going to be. It can be Oceanside, lakeside, or even riverside, but it will pay off to invest in real estate that is near water. Another thing you’ll notice about the wealthiest is that they aren’t employees that clock in with a boss every day. They are running their own business and keeping all of the profits. Business ownership is the trend among the wealthiest zip codes with many owning small and mid-sized companies. Rather than allowing your boss to earn the profit and gaining a small paycheck, you get all of the profits and pay your employees a paycheck. This allows business owners to buy some of the best real estate investments. Even with all of this in mind, remember that having the right agent is the best way to start living like the wealthiest. Get matched with the right agent from the start and you could be investing in the right real estate to help in your journey to becoming like the wealthiest zip codes.